Available in 3 characters that are shipped to you at random, for a fun surprise each time. Unique plush toy is designed with a blanket body and a plush head—so it offers your companion both coziness and fun. 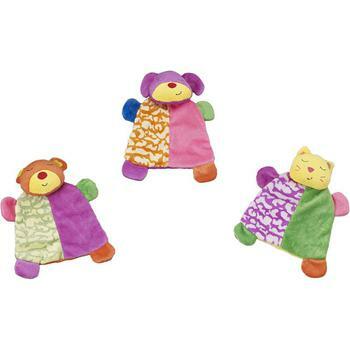 Blanket body is made of soft polyester and lined with crinkle paper. The unique sound may stimulate the instinct to shake prey, and entertain your pup. Squeakers hidden in the plush head offer even more fun and hold the attention of your best bud. 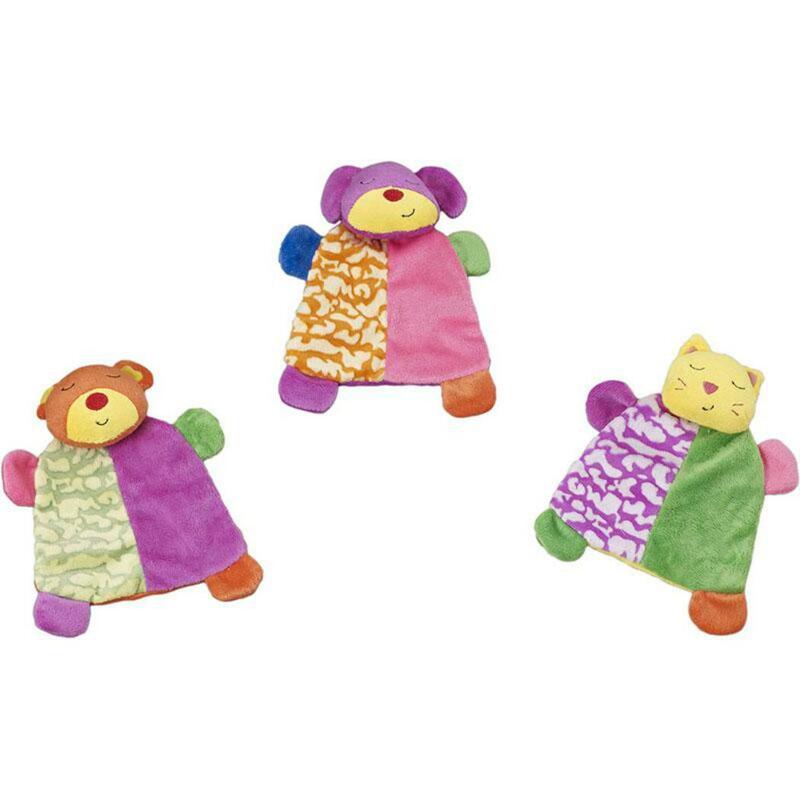 Ideal for new puppies or small dogs, this toy is designed for snuggling and light play.